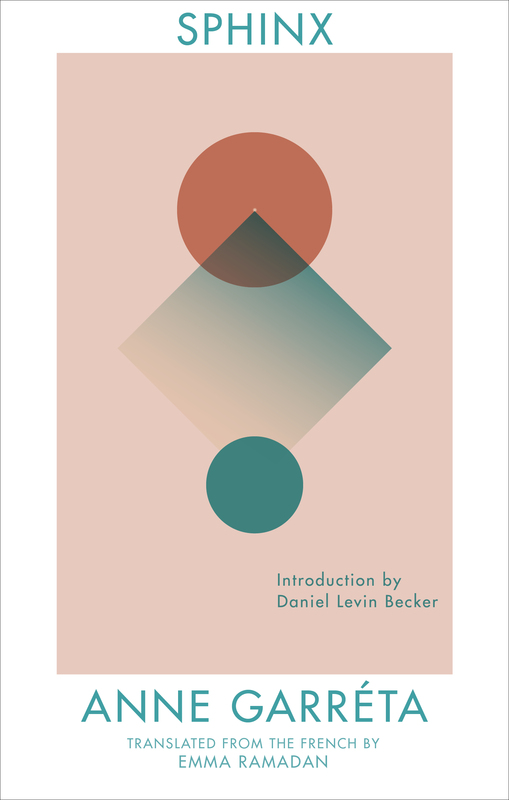 Beyond the elegant, geometric design of its cover, Sphinx (Deep Vellum; 120 pages; translated by Emma Ramadan) is an ambiguous, multifaceted beast. With its third publication, Deep Vellum, an eclectic Dallas press, brings the work of French writer Anne Garréta to English readers for the first time. 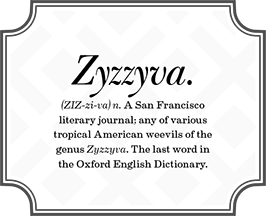 Nearly thirty years after its original publication, Sphinx also marks the first English translation of a female member of Oulipo (short for ouvrir de littérature potentielle, or “workshop for potential literature”), the exclusive, prestigious writer’s workshop that included George Perec and Italo Calvino among its members. 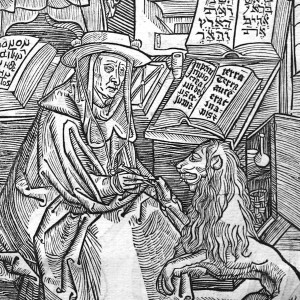 (Garréta is the first member of Oulipo to be born after its founding.) 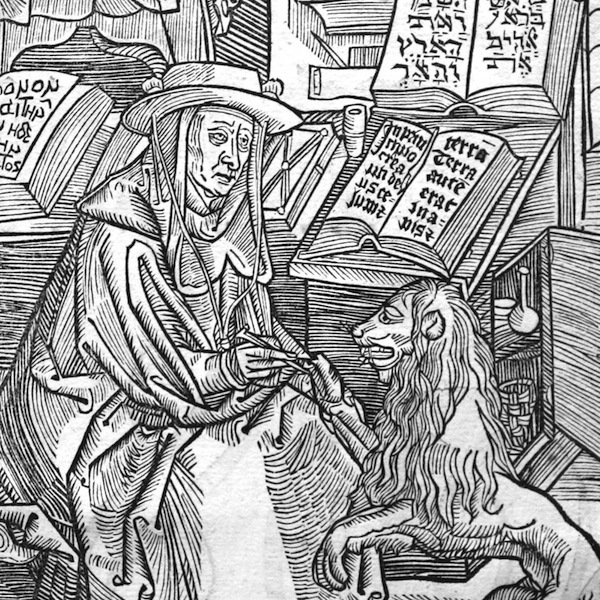 The goal of so-called potential literature is to restrict or manipulate language structures to open up the narrative possibilities of literature. And, indeed, there is something both freeing and unsettling about the prose of Sphinx. Though the sentiments at the heart of the novel are universal–love, passion, and melancholy–the agents of such feelings are strikingly absent, phantom-like forms that refuse to be pinned to the page and examined as specimens. 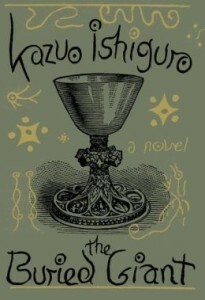 Critics and readers will find it difficult to say exactly what Kazuo Ishiguro’s latest novel is. 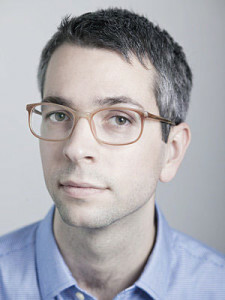 His first novel in ten years, The Buried Giant (Knopf; 317 pages) marks a daring departure from the tortured and unreliable first person accounts his readers have come to expect. 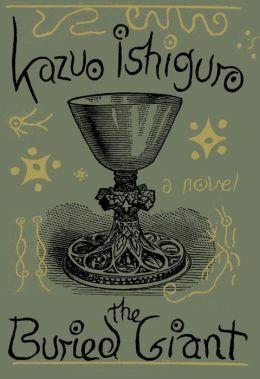 Some will exaggerate this departure, and yet Ishiguro’s prose remains undisputedly his: lyrical, patient, almost simple, but with lingering notes of deception and the unsaid. It may be that his subject matter refuses categorization. Despite the appearance of ogres and pixies among its pages, The Buried Giant is not a fantasy novel. Although it recounts a quest to slay a dragon, it contains little of the narrative drive found in classic adventure tales. The protagonists are two elderly Britons, Axl and Beatrice, who are deeply devoted to one another, and yet this is not a love story. Ishiguro even goes so far as to directly borrow a literary (and historical) character, portraying the aged Sir Gawain, King Arthur’s nephew and a Knight of the Round Table, who, despite the changing times, continues to lug himself around in a full suit of rusted armor. But this is not an Arthurian legend either. So what do we call it? 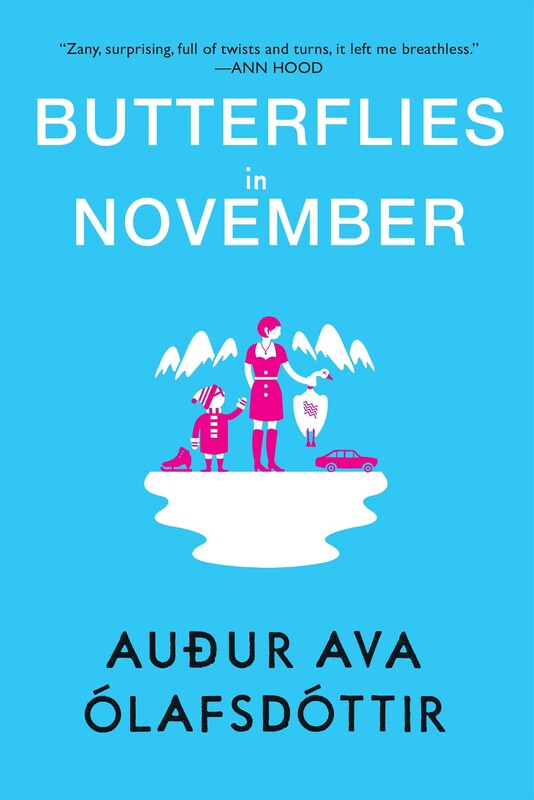 Set in the wintery depths of Iceland during the darkest days of the year, Auður Ava Ólafsdóttir’s novel Butterflies in November (Black Cat/Grove; 296 pages) opens with a surreal scene. 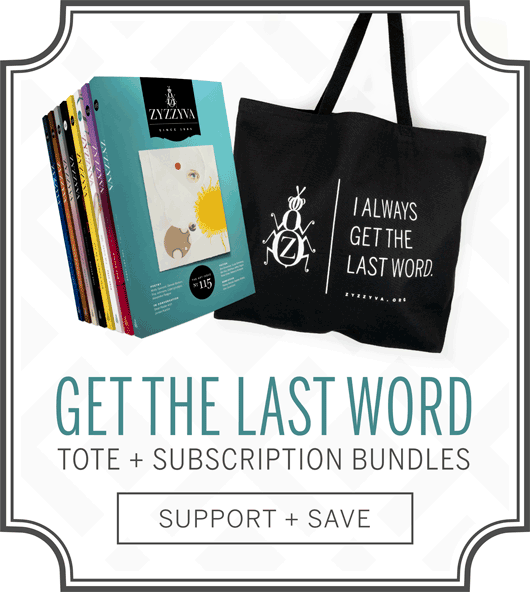 After accidentally running over a goose, the unnamed narrator hauls the carcass into her car trunk with plans to surprise her husband with a lavish dinner. What follows is the story of a woman out of sync with domestic life, whose impulsive nature leads her on a journey to self-discovery. We get a sense early on of our narrator’s elusive nature during a confrontation between herself and her husband. With brimming frustration, he reels off an extensive list of marital complaints–she refuses to conform to a proper schedule, she doesn’t want children, she hardly ever cooks dinner–before matter-of-factly asking for a divorce. There is another woman, he tells her unashamedly, and she is pregnant with his child. 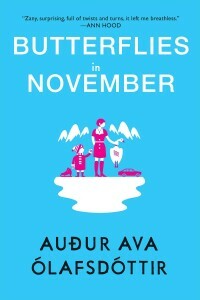 As its title suggests, Butterflies in November is full of paradoxes. 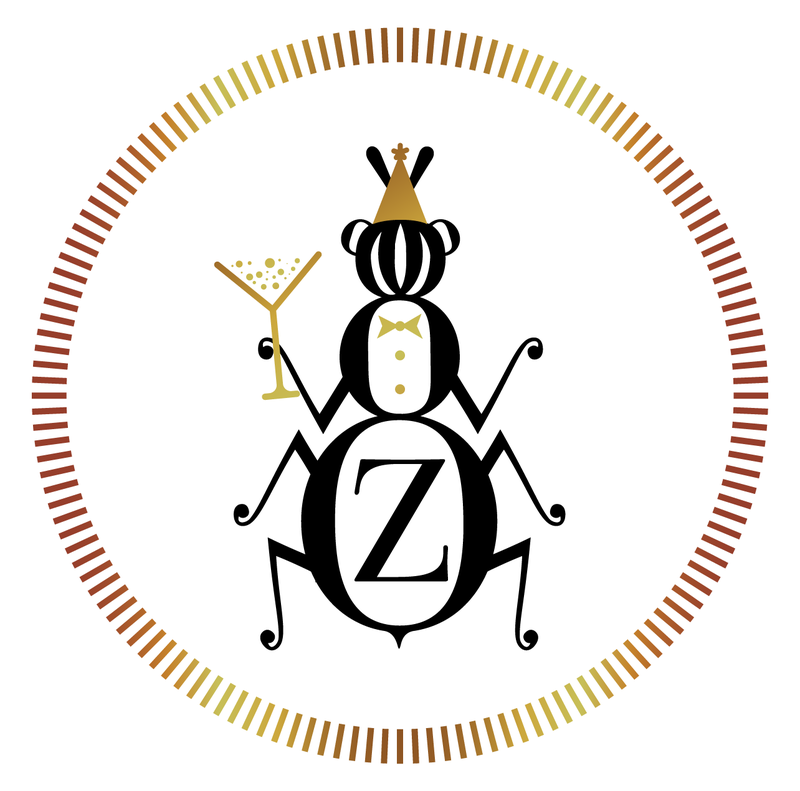 At once playful and dark, the novel, smoothly translated by Brian FitzGibbon, unfurls with a series of strange occurrences and characters. The narrator is enchanting, though at times painfully aloof, an impetuous woman who, after being dumped in one day by two men (her husband and her lover), wins the lottery and embarks on a journey eastward along Iceland’s Ring Road. Adding to the circus-like atmosphere is her travel companion, her best friend’s four-year-old son, Tumi, whom she has promised to care for while the friend recovers from an accident in the hospital. The child is comically misshapen: squat with a big head and an obscenely large hearing aid, which “looks like a receiver for picking up messages from outer space.” They make a strange but dynamic pair and, slowly, learn to communicate and read one another. Their relationship is fascinating to observe: she is a translator by profession who knows eleven languages; he is a deaf child with a speech impediment. In fact, the child’s sporadic verbalizations often have to be interpreted and re-articulated by the narrator. 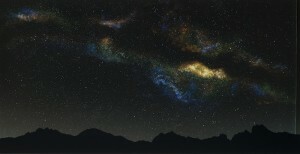 The two develop their own unique rhythm, as they head into the desolate and harsh arctic landscape. Bay Area artist and photographer Vanessa Marsh’s photographs, currently on display at San Francisco’s Dolby Chadwick Gallery till February 28, are dream-like in their blending of reality and fiction. The enigmatic quality of Marsh’s work is due in large part to her unique processes. Experimenting with several mediums, she is able to transcend realism through subtle manipulations of proportion, lighting, and perspective, without resorting to abstraction. 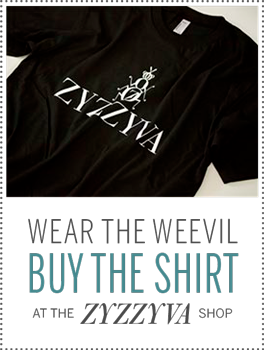 In some photographs (several of which were featured in ZYZZYVA Issue No. 98), she uses models to create miniature scenes. In Man Chopping Wood (2011), for example, a stiff little figure on a lumpy hillside raises an axe above his head pre-chop. The figure’s slightly erroneous proportions and the ghostly backlighting undermine and warp the simplicity of such a quotidian scene. The majority of the Dolby Chadwick show is devoted to Marsh’s Landscape photographs from the series “Everywhere All at Once.” When you think of landscapes, perhaps you think of Ansel Adams’ black and white photographs of classic American terrain, complete with its sweeping canyons and looming boulders towering toward the camera lens. This is nothing like the world Marsh depicts. Unrecognizable, the landscape in her work has been reassembled. While describing this project, Marsh compared her technique to the shifting of tectonic plates. Our perception of a landscape can be broken down into an accumulation of several two-dimensional planes that adjust and shuffle as we change our relationship to them. When I first met Jenny Riffle, she had already been photographing her boyfriend, Riley, for several years. 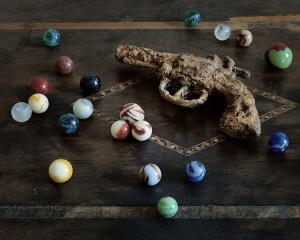 Their one-bedroom apartment was intricately arranged with Riley’s findings: a large poster advertising Raleigh cigarettes, which he found behind the drywall in an abandoned building; old calcified revolvers and rusty shotgun bullets he collected while metal-detecting off of forest pathways; and cloudy bottles of various sizes, softened by years of sifting Brooklyn beach sand. Doll heads with cheeks too rosy and features dulled by wear leered from corners, and old clippings of cars hung tacked to the wall above their gold couch. There in that one-bedroom apartment in Seattle’s Capitol Hill I had found a collection of treasures, meticulously cleaned and arranged by their finders into a collection of consumerism turned junk. But I first came to know Riffle’s photography through her younger sister—my girlfriend, Emily. Riffle has been taking photographs of Emily once a year on her birthday, since Emily was 15. Similar to Nicholas Nixon’s “The Brown Sisters,” a series of photographs taken each year of Nixon’s wife and her sisters, “Emily” works as a compilation and a meditation on time. By continuing to reexamine a subject, Riffle accrues images that simulate the progression of time while simultaneously freeing the subject from the metonymy of portraiture that claims to define a person with the blink of a shutter. Besides chronicling the process of aging, “Emily” dwells on the multiplicity that makes up a single person. As Riffle, who teaches photography at the Photo Center Northwest, writes in her description of the project, “Seeing the progression of birthday photos shows how my sister has changed over the years, but in the end for me she will always encompass all the images at once.” This is what makes Riffle’s portraits like stories. They may not have classic beginnings, middles, or endings, but they have an element of wholeness that classic portraiture lacks. 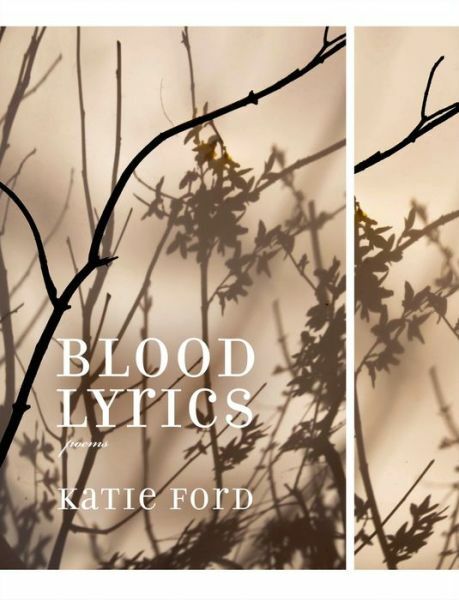 In her most recent book of poetry, which came out in late 2014, Katie Ford offers a raw and thoughtful look at the frailty of life, tracing the fragile line traversed alike by her premature infant daughter and the countless victims of war. 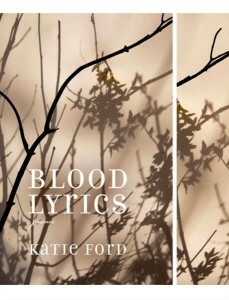 Blood Lyrics (Graywolf Press, 62 pages) resembles a book of hymns, hauntingly personal, one piece coursing like blood into the next. Some of these poems ought to be delivered in a funereal whisper, others chanted to the rhythm of pumping hearts. Life and death are intimately connected, one necessitating the other.